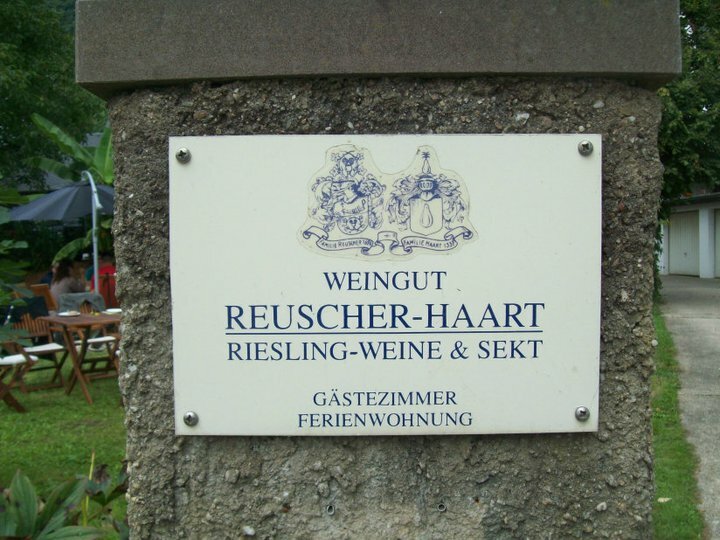 I have said it before (here and here) but I think one of the best bargains you can make along the Mosel are the Reuscher-Haart QbA wines, their basic rieslings. The wine is filled in a one liter bottle, so you get 25% 33% (oops, thanks for the pointer, Michael!) more than your usual bottle. Both wines are sold for around $5.50 at the winery, which makes them also quite affordable in the United States with the starting price $12.59 at one merchant. It was interesting to taste the 2011 dry and sweet version of this wine against each other. 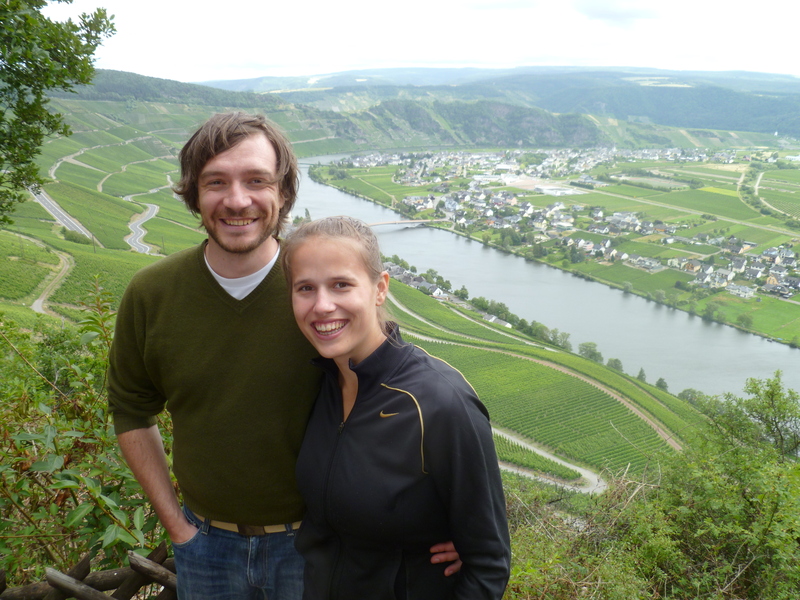 They proved nicely the difference in a dry and sweet Mosel riesling, and why I like the sweeter rieslings better. Both wines are exceptional quality, and I highly recommend them. If a winemaker puts this much love in their simple estate wine, it speaks volumes about their work ethics. 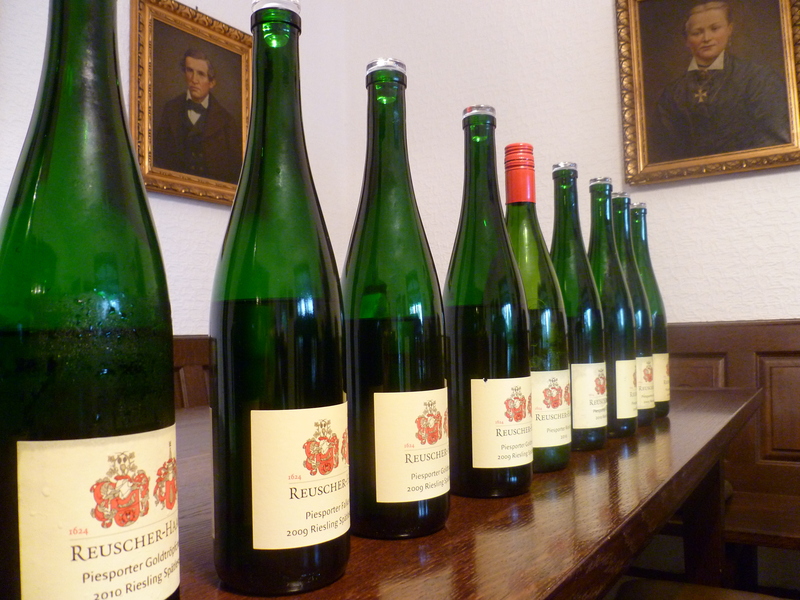 The 2011 Gutsriesling Trocken (trocken is the word for dry in German) was harvested from Piesporter Falkenberg. 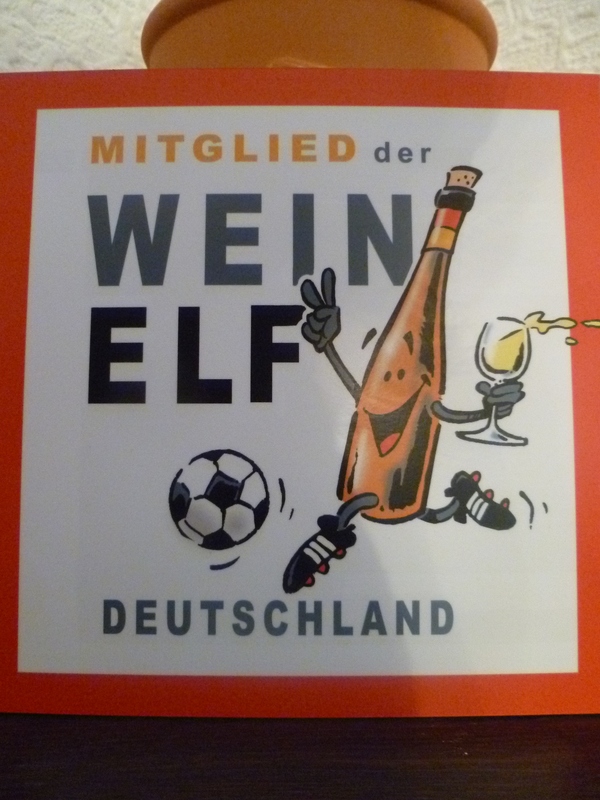 The grapes had a sugar level that would have qualified this wine for a spätlese, but Mario decided to make the dry gutsriesling out of them. 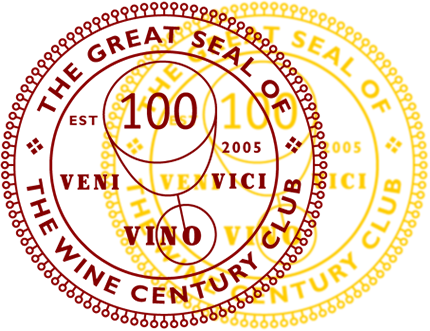 The wine has 12% ABV and residual sugar of 6.7 grams/liter. It is light in color, with apple notes dominating the nose, exuding a freshness that was very welcome. On the palate, apple persisted strongly. 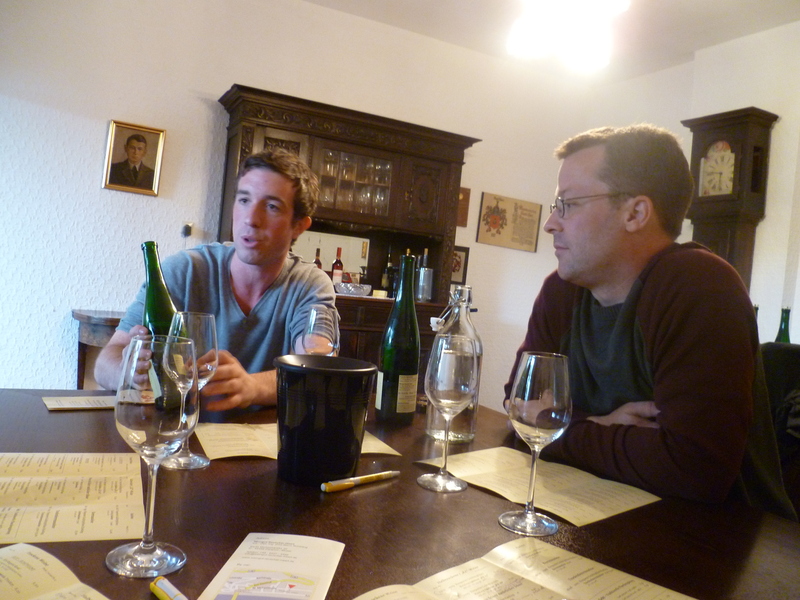 The acidity in the wine was never overbearing and nicely tied to the apple notes. It was a very refreshing wine. 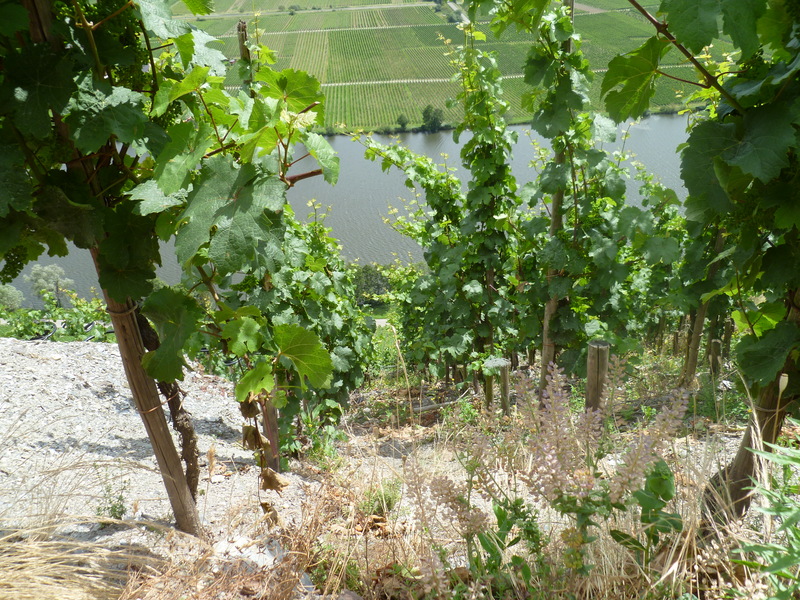 The 2011 Piesporter Riesling was not harvested in a specific vineyard, the grapes come from several lots in Piesport. The wine has 9% ABV, the residual sugar was not listed. The wine looked similar to its dry brother, but the nose showed more fruit aromas: there was gooseberry and kiwi, beside the apple notes that I find often in Mario’s wines. On the palate, the sweetness strengthened these aromas, and made the wine a great mouthful of fruit. The wine’s acidity ensures it is not too sweet on the palate. It is one of the most refreshing, easy drinking wines I know. You can order the wines at the winery here.